If any single person is responsible for post-1980s interest in David Goodis, it's surely Philippe Garnier, arguably the first to write at length about Philadelphia's favourite noirist. While a handful of others have tried to thumb a ride on Garnier's coat-tails, he remains, at least when it comes to Goodis's retreat from oblivion, the primary investigator. Not only has he done the ground-work- interviewing the relevant parties and scrounging the archives- he's conveyed what he's found with no small amount of panache. That goes for David Goodis, Un vie en noir et blanc, or his "translation" of that book David Goodis, A Life In Black and White (my review of that book can be found here). "Translation" because A Life... is anything but a word-for-word translation of his earlier book, rather an adaptation meant English-speaking Goodisites. 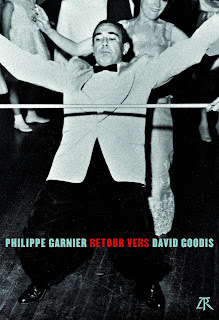 I agree it's surely Philippe Garnier who is responsible for post-1980s interest in David Goodis. Thank you for this post! Yesterday I found this page http://paidpaper.net/review-of-essaybox/ and I find it really really interesting for students. The Writer in The Gutter: Who was David Goodis?